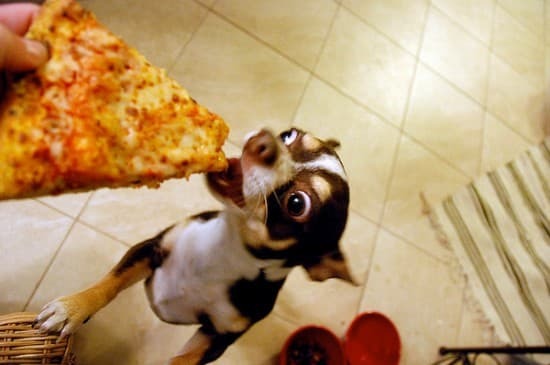 Last January, we at ThisBlogRules warned you of the rapidly growing national epidemic (possibility of slight exaggeration there) of cats who like pizza. 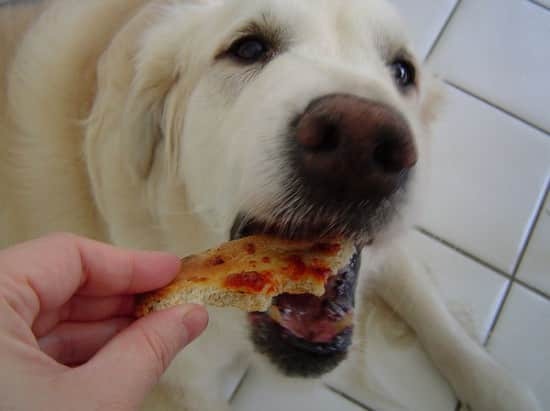 Well, now this speedily spreading contagion, which has left many innocent American citizens well and truly pizza-less, has worked its way into an unlikely source, namely a cat’s worst enemy and man’s best friend. 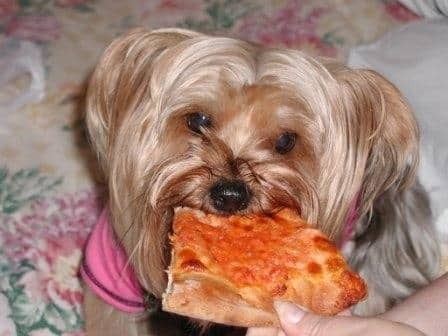 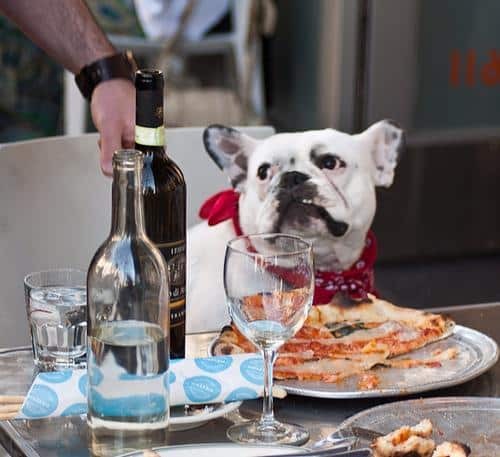 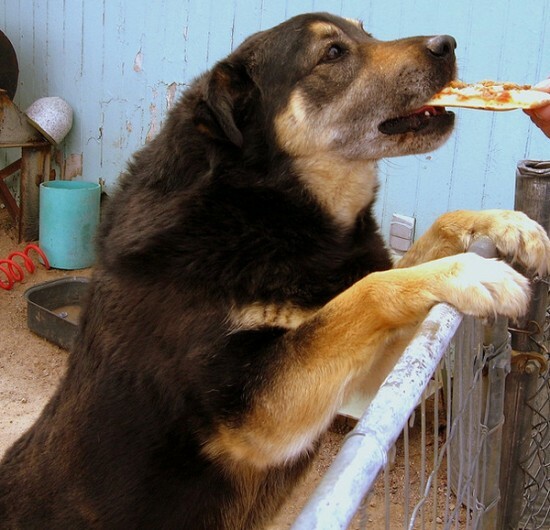 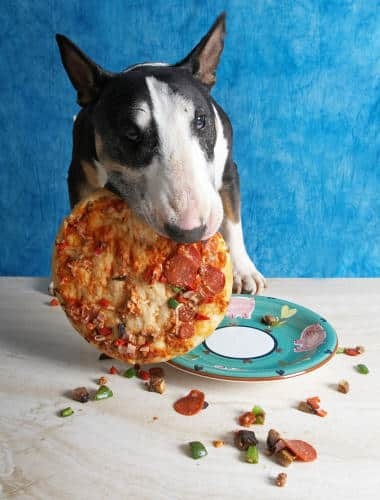 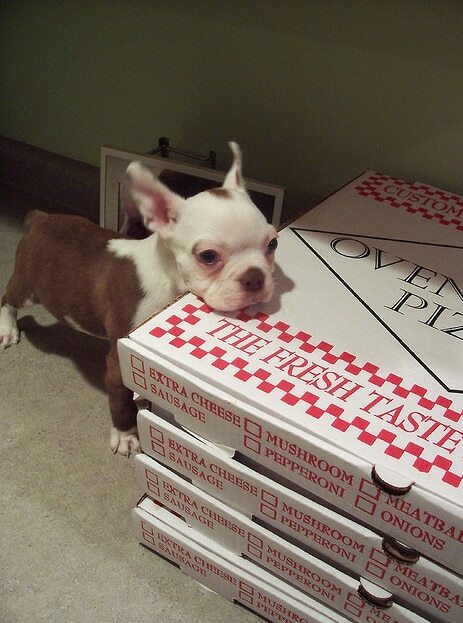 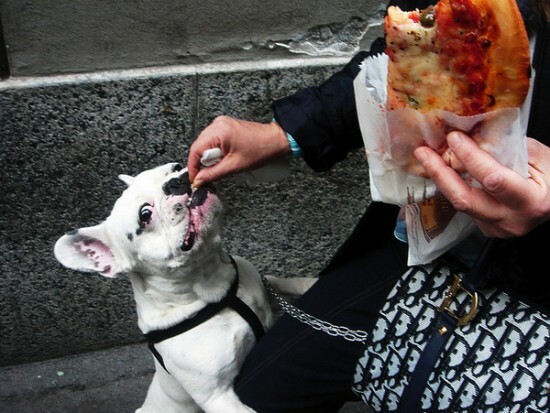 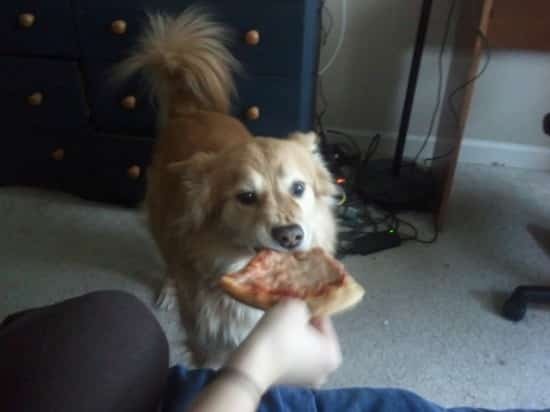 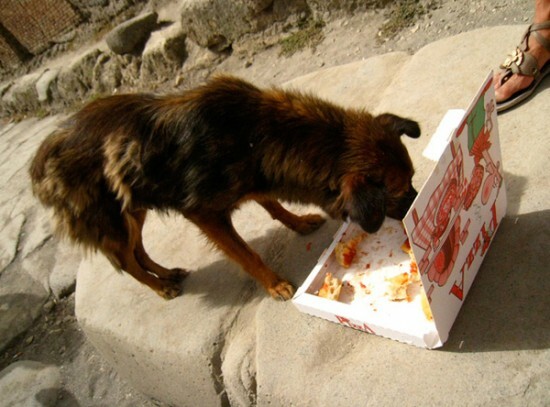 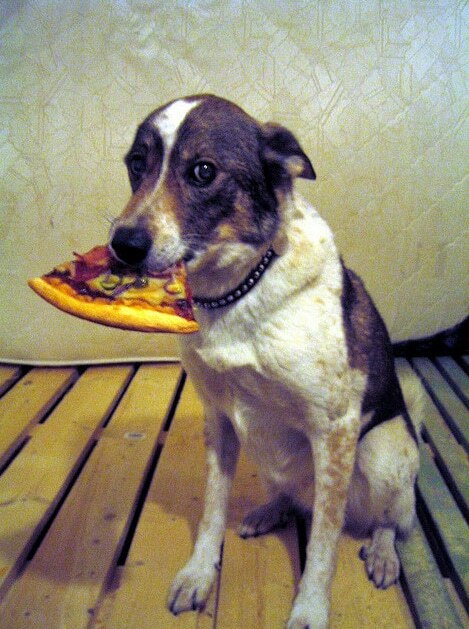 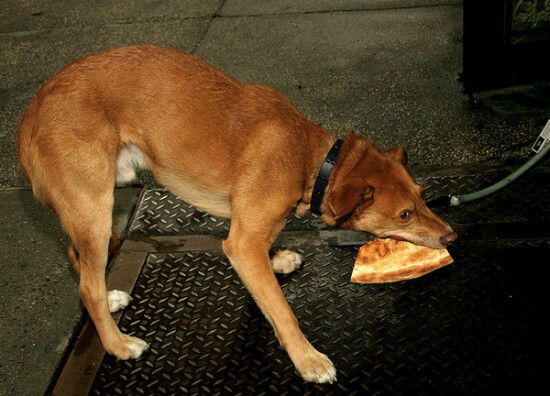 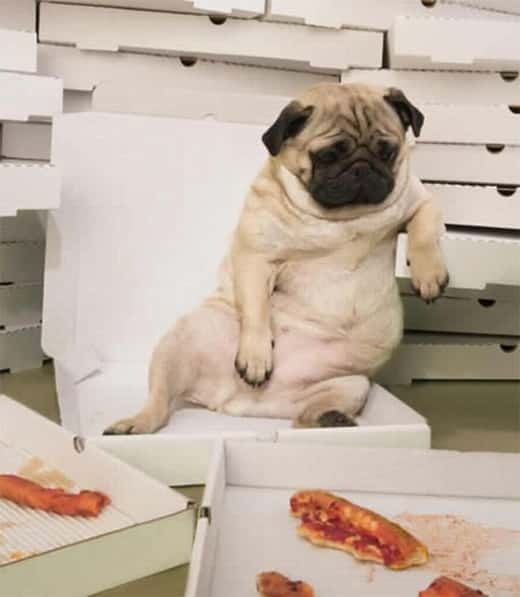 Yes, the pizza-loving epidemic has spread to and throughout the canine community, plaguing millions of mutts worldwide with the sudden urge to devour a pizza, be it a Cheese and Tomato or a Vegi Volcano. 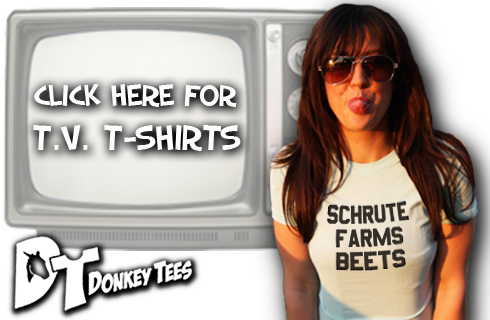 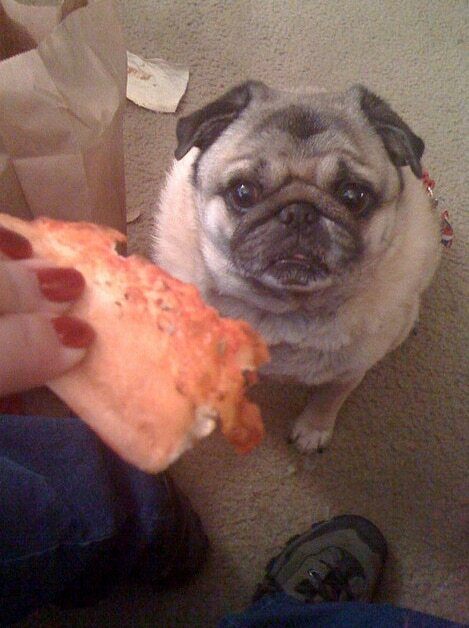 Note: speculation has arisen that this urge may have in fact been there the whole time. 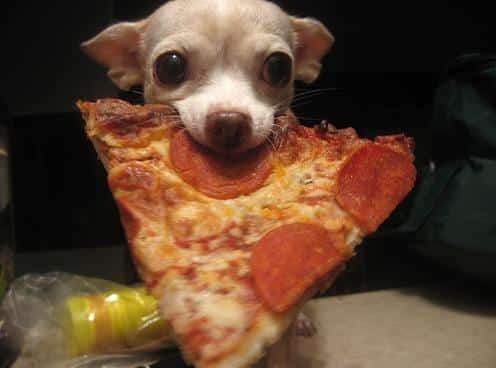 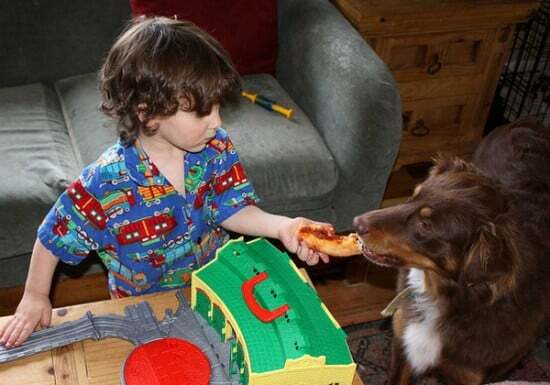 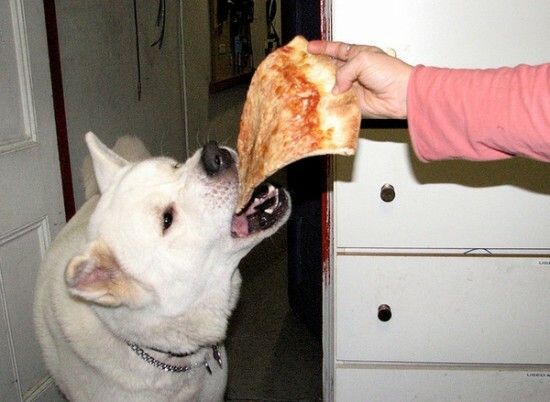 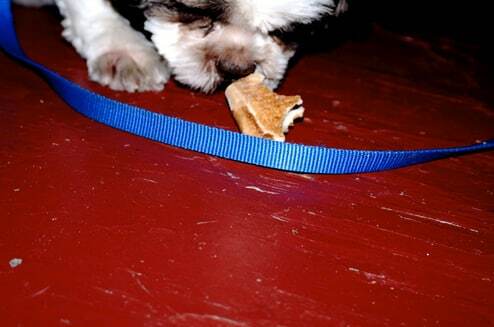 Either way, there are boatloads of dogs out there who love to eat pizza, and we have the photographic proof, as you shall see below. 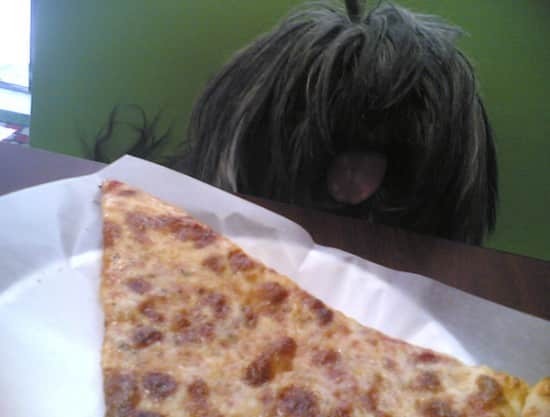 Enjoy, but be sternly warned: if you have a dog living within your own home or watching you closely from across the street with puppy dog eyes, protect your pizza with all your selfish, gluttonous might; if you do not, you may lose every delectable last slice of it. 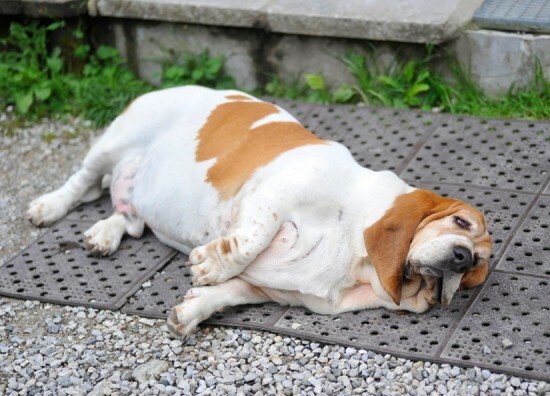 Breaking news: there’s a brand new, likely related epidemic on the rise – fat dogs. 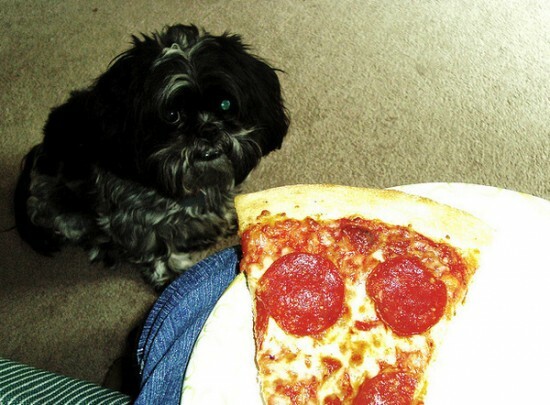 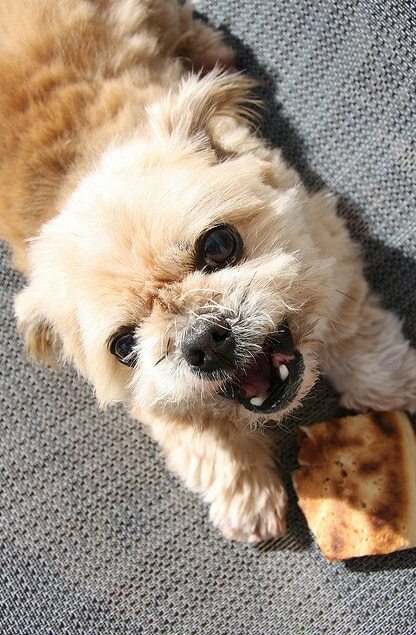 Medical Warning: You should not actually feed your dog or cat pizza as it can lead to diabetes and blindness.